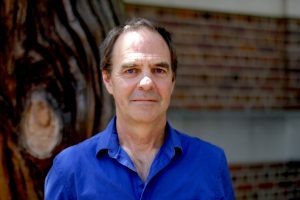 Daniel Anderson is Director of the Carolina Digital Humanities as well as the Director of the Digital Innovation Lab at The University of North Carolina at Chapel Hill. He studies digital rhetoric, teaching with technology, and alternative approaches to scholarship. His books on teaching include Connections: A Guide to Online Writing, Writing About Literature in the Media Age, and Beyond Words: Reading and Writing in a Digital Age. He also creates new media performance art and scholarship using the computer screen as a composing space. Anderson D. Forthcoming and under contract. Screen rhetoric and the material world. Ann Arbor (MI): University of Michigan Press. Anderson D and Sayers J. 2015. The metaphor and materiality of layers. In Hart-Davidson B and Ridolfo J, editors. Rhetoric and the digital humanities. Chicago (IL): University of Chicago Press. p. 80-95. Carolina Parents Council Grant (one year, $1,800), 2014. UM Press/Sweetland Publication Prize in Digital Rhetoric (advance publishing contract, $5,000), 2013. Friday Center Award for Teaching Excellence, 2013. Institute for the Arts and Humanities Digital Innovations Grant (three years, $50,000), 2012. Carolina Parents Council Grant (one year, $5,100), 2011. Lenovo Instructional Innovation Grant (one year, $10,000), 2009. Carolina Entrepreneurial Initiative Course Development Grant (one year, $5,000), 2009. Abbey Fellowship for Undergraduate Advising (three years, $24,000), 2006-09. Hamilton Multimedia Instruction Fellowship (one year, $19,000), 2007. University Research Council Grant (two years, $1,300), 2003. IBM Enhancing the Use of Instructional Technology in a Course or Curriculum Grant (one year, $2,500), 2002. Chapman Family Faculty Fellowship (one year, $19,000), 2002. Junior Faculty Development Award (one year, $5,000), 2002. IBM Applying Advanced or Emergent Technologies Grant (one year, $5,500), 2001. Winner, McGraw Hill Technology Product Design Competition, 2000. IBM General College Curriculum Technology Enhancement Grant (one year, $2,500), 2000. Classroom Equipment and Technology Upgrade for Maximizing First Year Seminars Grant (one year, $22,746), 2000. CCI/ATN Wireless Integration Grant (two years, $40,000), 1999. IBM Curricular Innovation Grant (one year, $12,028), 1999. Distance Education Development Grant (one year, $12,800), 1999. University Research Council Grant (two years, $1,000), 1998. John T. Lupton Opportunities Fund Teaching Grant (one year, $4,800), 1998. Chancellor’s Instructional Technology Award (one year, $120,000), 1998.